Our Therapeutic Rub contains only a few ingredients. The simpler, the better, right? Our formula will ensure natural pain relief when you are aching. Camphor oil reduces inflammation and promotes tissue healing. It also stimulates circulation. 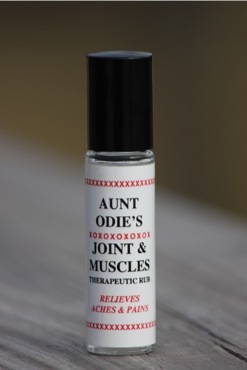 It can be used to ease muscle pains and arthritis. 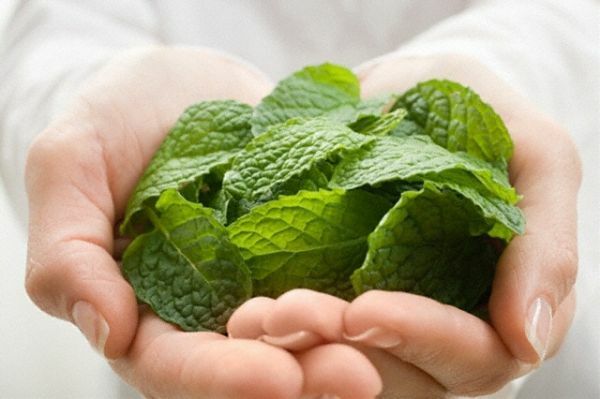 Peppermint oil aids in removing pain and reducing fever with its cooling properties. It’s also a stress reliever. Spearmint oil, like camphor oil, has anti-inflammatory and anti-spasmodic properties. It can also be used as an anti-bacterial and anti-fungal treatment. Aloe vera has anti-inflammatory properties as well as the ability to help heal the body both inside and out. By combining these four ingredients with purified water, we have created a therapeutic rub that will ease your mind, body and senses. Apply it to any joint or muscle pain and it will ease it. Rub it on your temples when your head is pounding. Put it on your toes or finger nails to keep them clean and healthy. It will even help ease nighttime coughing if you rub it on your chest, similar to a vapor rub. AND, all profits from this product will be donated towards camperships to Camp Riley/Riley Children’s Foundation, a division of Riley Children’s Hospital, Indianapolis, Indiana, and YMCA Camp Tecumseh, for Children With Special Needs, Brookston, Indiana. Interested? Click here to order!